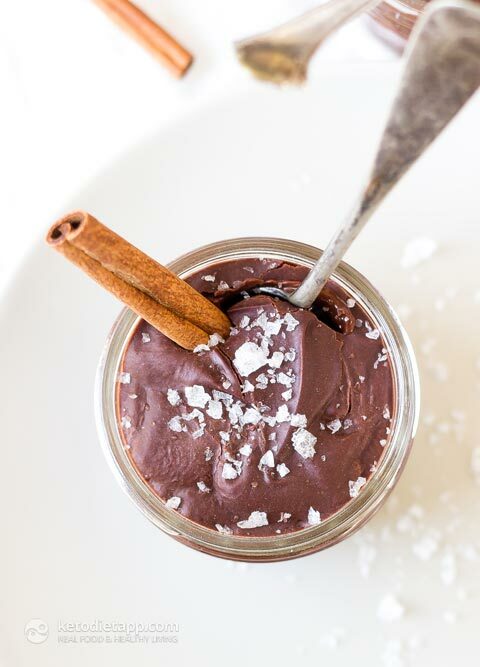 Chocolate Pot de Creme is one of my all time favorite desserts. It’s like a mix between chocolate pudding and chocolate fudge, what could you not love about that? This low-carb version tastes just like my favorite go-to recipe but without the guilt of all of that sugar! 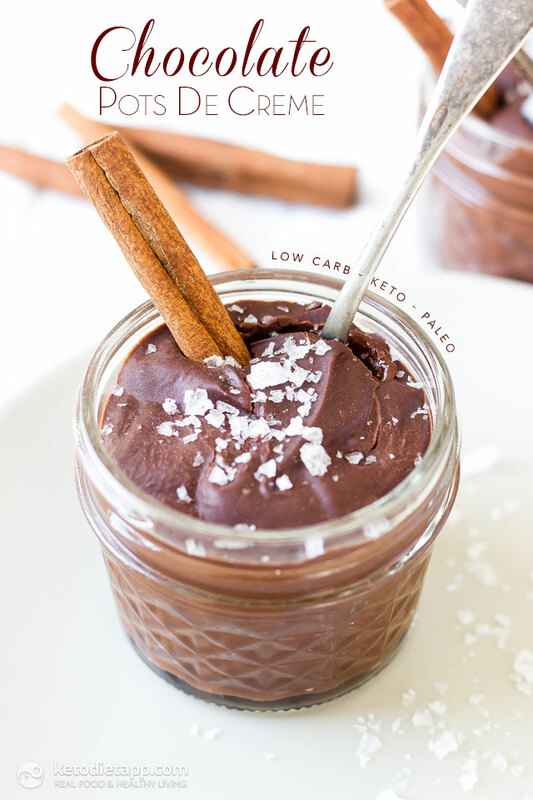 This is one ketogenic treat you can feel good about! Since these are little individual sized desserts they make a great option for dinner parties. 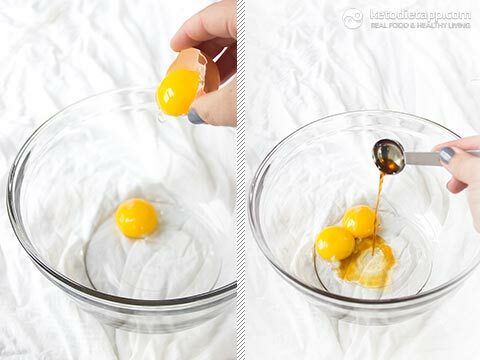 You can easily double or triple the recipe as well. If you’re not dairy free, feel free to use heavy whipping cream in place of the coconut milk! You also have a few choices as far as toppings go. Sea salt is a personal favorite but crushed nuts, keto whipped cream, or extra chocolate shaving would all be delicious. 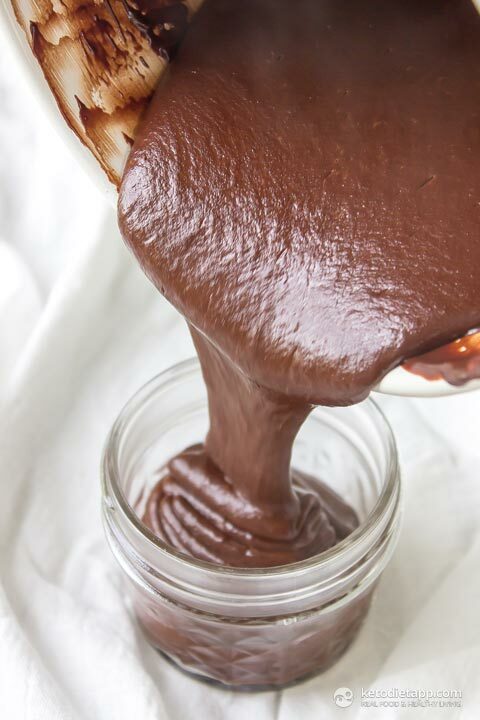 Note: You can use dark chocolate instead of unsweetened chocolate. If using 85% dark chocolate, one serving will contain 8.9 g net carbs. 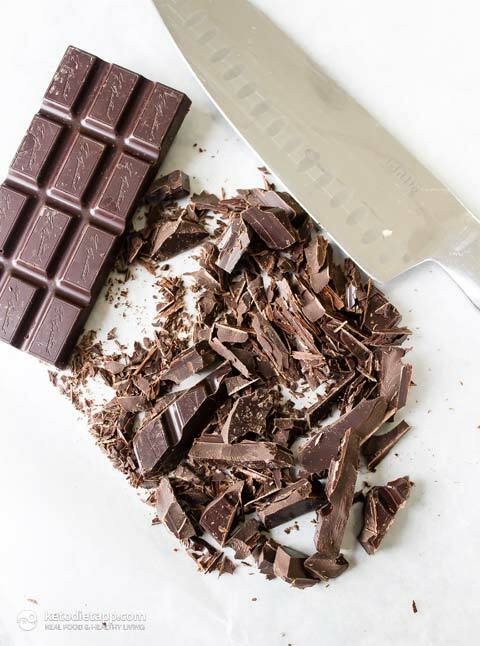 If using 90% dark chocolate, one contain will contain 7 g net carbs. When you using canned coconut milk, keep at room temperature and shake well before measuring out a cup (you&apos;ll need both the creamy part and the juice). Alternatively, you can use liquid coconut milk like Aroy-D.
Over medium heat melt the chocolate, coconut milk, and Swerve together, simmer over low heat until thick about minutes. 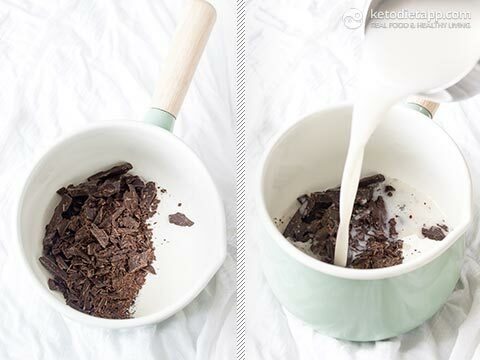 Add 1 tablespoon of the melted chocolate to the bowl and quickly whisk to incorporate. 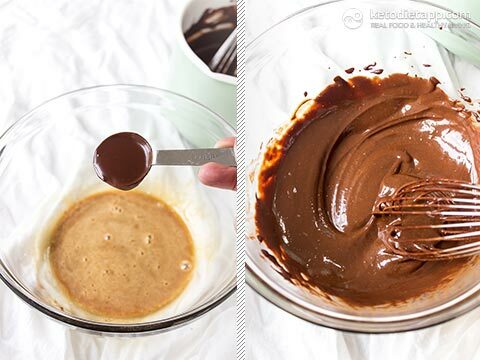 Repeat 1 tablespoon at a time with half of the chocolate. 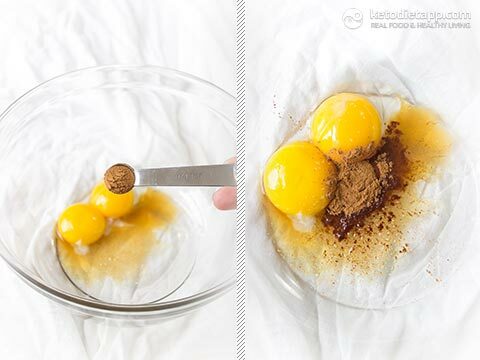 Scrape the egg mixture into the pot with the remaining chocolate and set back over low heat. Bring back to a simmer for 1 minute. Pour the mixture into four 4-oz jelly jars and refrigerate until set, about 3 hours. To serve sprinkle with a little extra salt. What is the calorie count for this? I was really excited to try quite a few of these, but then I saw that the calories aren't listed. Thank you! 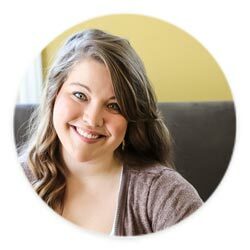 Hi Abby, there's a table with macros and calories (above the ingredients). Martina, wow! This is a *fantastic* recipe! The first batch I made separated, so I kept it to eat at home (and was totally delicious). The second batch came out perfectly and I served in tiny jars with lids, and homemade whipped cream. This is a keeper! Making another batch tonight. Thank you so much for this and all your other amazing recipes! So I'm not sure what I did but when I went to pour it, I noticed that the mixture wasn't as smooth as in your picture and it looked like it had separated. I'm assuming that it was the chocolate that I used in the recipe. Do you recommend a particular type of chocolate? I used Cuisine Camino baking chocolate. Hi Debbie, this is likely caused by sudden temperature changes (the egg mixture vs the chocolate mixture). You can make it smooth again by placing it in a food processor. I used lakanto sugar, I bought swerve but I'm on the fence about using it, it smells like plastic! The whole sugar thing is why I haven't committed to keto (and giving up bananas). Can't seem to wrap my head around bananas=bad but erythritol=good. I get bananas are high carb. I think paleo might be more me. Why does no one mention erythritol is derived from corn, corn is a grain but its still acceptable? Is it just a matter of preference and personal choice? Zero judgment here, I don't care what others eat. Just curious, educate me on erythritol please. Not all fruits are bad (I eat loads of berries!) but bananas are very high in carbs. I don't use sweeteners too often, even the low-carb, natural ones. My desserts are simple. I'd have a piece of dark chocolate or some full-fat yogurt with berries. I think that getting used to not eating sweets is the best long-term approach. This doesn't mean you have to eliminate them completely but I wouldn't use sweeteners every day. I made these for the first time today and oh my goodness are they amazing. I used half the amount of swerve, just a preference but the recipe is a winner! Thank you!! I agree, sweetener is always best used to taste  Thank you for your lovely feedback! Great recipe, I plan on doing this as soon as I get this question answered. How much is a serving? The whole recipe is 4 servings - one serving is a little over 1/2 cup. It's best to divide it equally between 4 small jars/ bowls. Hi. and thanks for great recipe! Fat content of coconut milk products vary enormously, whether they claim to be "creamier" or just plain milk. 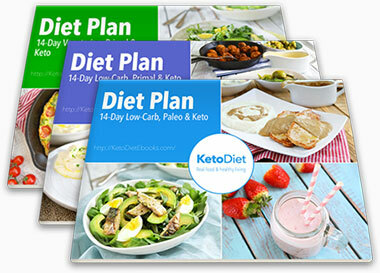 It would be very helpful for macro counting if you mentioned the fat content of the product you use for these recipes. I don't have access to all of the mentioned brands here in Norway and often need to substitute. Hi Tanja, Lauren used "full-fat" canned coconut milk (not the one in carton that is liquid). There should be 2 types of canned coconut milk - "low-fat" and "full-fat". In most cases the "low-fat" is always labeled as "light" or "low-fat" while the full-fat coconut milk is just labeled as "coconut milk". A regular full-fat coconut milk (including the juice) will contain 21-24 grams pf fat per 100 g. I hope this helps! I can't wait to try this! I happen to have all the ingredients at home except for the swerve/erythritol; could I just use stevia instead?